20 years ago his father had arrived in Wolfsburg seeking to make a name in Germany through one of Europe’s elite clubs. At the Volkswagen Arena Akunnor worked his way to success and was eventually handed captaincy by the Wolves. By the time he was departing to Horsens in Denmark had joined the league of reputable foreigners in the Bundesliga with his incredible left foot that hit the back of the twine from free kick ankles. Such is the legacy Jesaja is seeking to surpass and join the podium where the greatest ballers of the times are graced. Jesaja breaks into smile as he attempts to answer the question about genealogy of his talent and reveals he started playing football with his aunt. I have the same specialty as my father. Football is in the genes so it’s something I love doing. I started playing football with my aunt at the age of 3 and that’s how it all started. 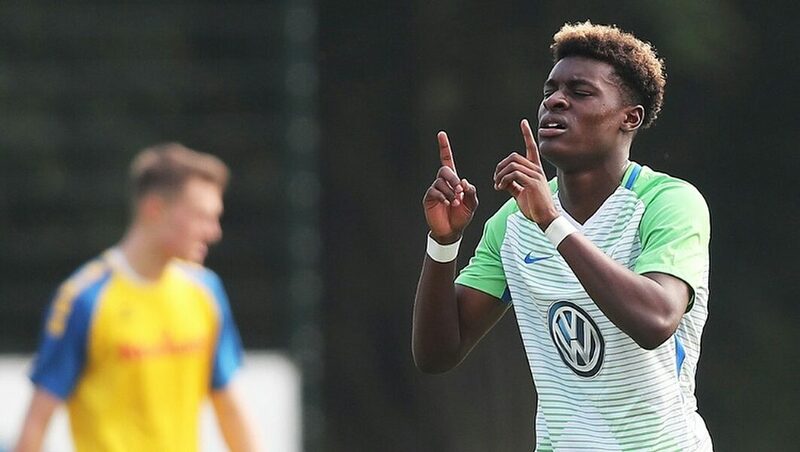 The teen attacker then moved on to join Wolfsburg and even play for Germany at various levels and even has his special moments with the U16 side. I have two moments with the U16. We played in Portugal in the Algarve Cup and I scored in the final and it was my Birthday. That strike vs the Netherlands was really special. And, the second was last year December in Israel I scored my first hat-trick for the national team vs Serbia. 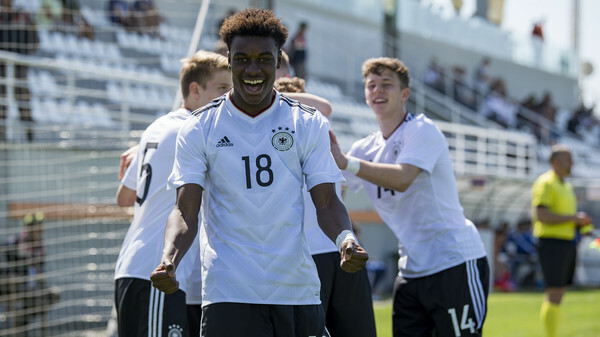 Two players of Ghanaian descent – Noah Awuku and John Yeboah excelled in the German U17 jersey in India in the 2017 FIFA U17 World Cup. Despite showing enough quality and promise for the U16s a year earlier he was overlooked for the tournament. Jesaja slips into a deep thought when he tried to explain how he was not called up for the tournament. I didn’t know the coach and we didn‘t have a good relationship. Despite that failure Jesaja is aiming at the big target and has aimed for the senior World Cup but as a believer in hard work he wants to work towards it ‘step by step’. Which player in world doesn’t want to play the world Cup? Of course its one of my biggest dreams but lets take it step for step. Jesaja has also had his challenges with injuries as he weaved his way up the career ladder and he remembers an injury that kept him out for up to 3 months. One of my injuries that was bad for me I was out of action like 3 months and it was really hard to come back but I did it. He remembers how he joined Wolfsburg. We played against Wolfsburg and I scored a very nice goal after the game they called my agent and they told him that they want me and so I joined them. And, at Wolfsburg he’s playing along two other Ghanaian team-mates in Richmond Tachie and John Yeboah. He says it’s a great feeling to know he is playing along his countrymen at the club. It’s really good to know that you have team mates from the same country the relationship between us is very good. Jesaja says he places a lot of premium on the back-from-injury-goal he scored for his side after spending some time out in the treatment room. The most priceless goal was vs Braunschweig because I came back from injury and it was my first game and I scored. The ambitious forward holds Ronaldo Lima and Thierry Henry Daniel in high esteem and says he wants to follow in their footsteps lift the World Cup. The Brasilian Ronaldo and Thierry Henry are my idols and I really want to win the World Cup title with the national team. 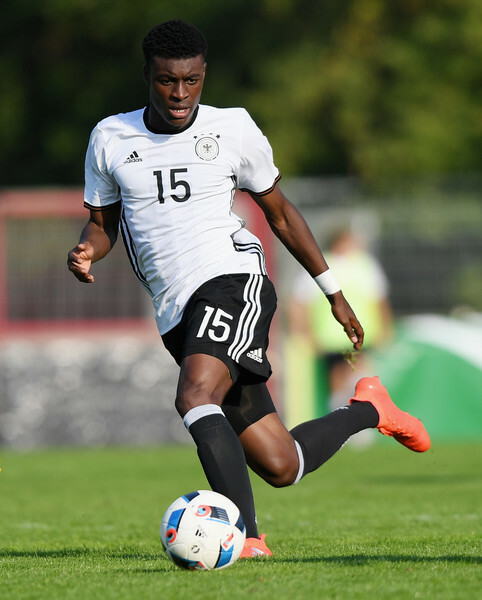 On which country to represent Jesaja says he is yet to decide which country to choose between Ghana and Germany. I don’t know it now but let’s see what will happen in the future. But ultimately he wants to lift the Ballon D’or one day. I want to win the Ballon D‘or and the World Cup with the national team.